If you’ve ever given up trying to secure a change of clothes, a bag of groceries, or other cargo in a Citi Bike basket, relief is in sight. 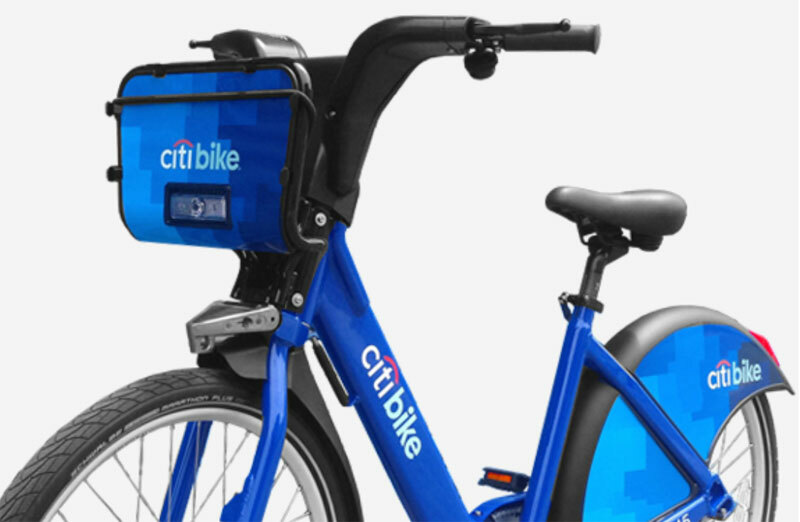 Citi Bike is rolling out “over 100” bikes with bigger baskets as part of ongoing normal replacement and upgrades to its fleet, said a spokesperson for parent company Motivate. From now on, all new Citi Bikes will have these baskets in front. The current Citi Bike “baskets” are open on two sides and pretty small. Bungee cords do a lot of work to keep things from falling out. The intent behind the old design was to prevent New Yorkers from throwing trash in the baskets. We’ll see soon enough whether those worries were justified. The new three-sided baskets are larger and still have cords to keep your stuff from bouncing around. Motivate says it tested the baskets in a pilot with riders and received a positive response before deciding to make them standard on new bikes. I can’t wait till Citi Bike hits the streets of the Bronx. Anyone read this article, looks like they are bringing pop up docks for sample rides in the Bronx and SI too. More citibike riders are going to use these as child carriers, and with older children now.